As the economy picks up steam, organizations are increasing their investments in enterprise resource planning (ERP) technology as a way to help grow their business. Yet because the recovery remains uncertain, organizations remain concerned with squeezing the most from their IT investment dollars. 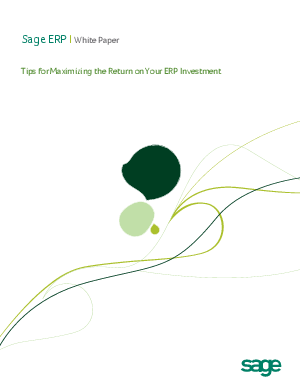 This white paper describes two strategies organizations can employ to maximize the returns from their ERP investments: Use a proven methodology to speed implementation and achieve ROI faster, and define and track metrics to measure progress in meeting business objectives.